A few months or more like last year I was hoarding a ton of products. I did a beauty haul to show everything that I had to put the pressure on myself to start using them so I could update you all on the results. This mask was made for my oily crew. This mask pulls out all the gross and yucky stuff that causes your skin to become congested and have problems. It improves the dullness and texture of your skin. 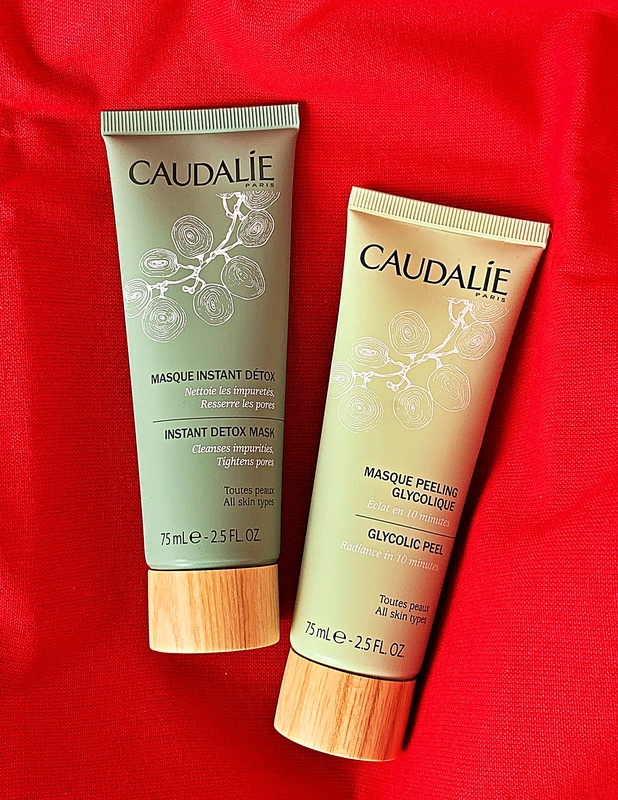 A little bit of this mask goes a long way so be sure not to squeeze too much out the tube. Also, don’t feel like you have to place a mask over your entire face. I think at times this is what causes people to have dry skin in certain areas. I only use this mask in my t-zone and on my cheeks because those are my problem areas. Another key to the success of a mask is being consistent. Just think about how much your face is to exposed to on a daily basis. I apply a mask to my face at least 2-3 times a week. It’s the only way you can improve your skincare and see results. I am always nervous about using glycolic peels because my skin is so sensitive but when this said FOR SENSITIVE SKIN I was ready to give it a try. Just like the detox mask, this is meant to rid of the skin of all the toxins. The addition to this one is that it also helps brighten dark spots. In using this for the past 2 months with all my travel, I can also see this has helped improve my skin. Important Note: Be sure to only leave these types of products for the recommended time. What are some masks and peels that you have been using lately and like?